It’s very easy going destination from Dhaka city. You may ride on a bus moving toward Savar or Hemayetpur area from Gulistan or Firmgate Bus stop. Get prepared to step off when you reach near at Gabtoli bus stop. After crossing Amin Bazar bridge you may step off at Amin Bazar Bus stop. Then take a walk or hire a rickshaw to this Mosque. There are two prime ways to get into the Savar Upazila, One is via Bypass-Nabinagar from Uttara zone (Northern side of Dhaka). Another one is Via Gabtoli-Aminbazar, which is commonly known as Dhaka-Aricha highway. A significant number of Buses moving toward Savar from various bus-stop in Dhaka. Just catch one to be there. 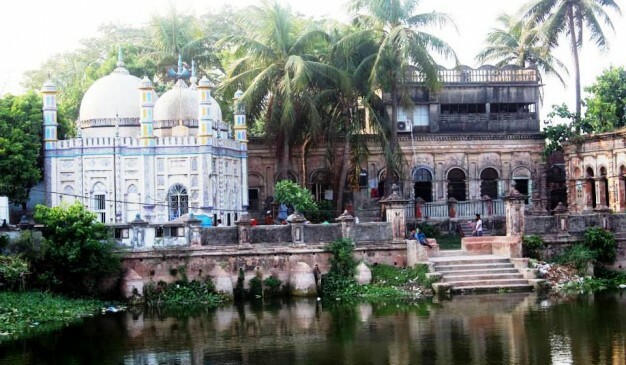 Enjoy Buriganga river view along with the Artistic beauty of this Mosque. 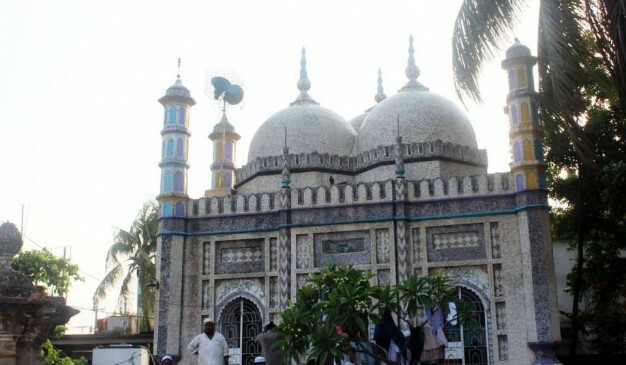 Gutia Mosque is situated in Barisal, also known as Baitul Aman Mosque. 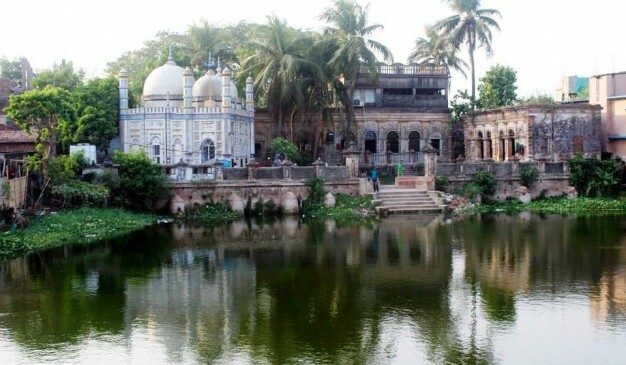 The mosque was built 20 km away from Barisal in a place called Ujirpur. It is supposed that, it took 210 million BDT to build this mosque. This mosque is outstanding to look at as the best equipment’s have been used. It is well decorated with lights, frames, and has speakers of BOSE, so the Azan is very melodious. The area is huge with a Madrasa, Eidgah, pond and garden. It has 30 staffs to look after the mosque. This mosque has separate place for women to perform Salah. Mr. Sharfuddin Ahmed Shantu established this mosque in 16th Dec, 2003. He spent 10 million dollars to build this Gutia Masjid. The designs and decorations used here are taken from Europe, Asia, and Middle East's most famous mosque. 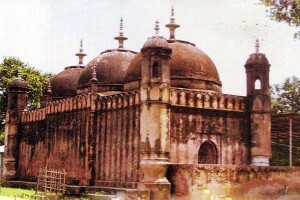 Mirzapur Jame Mosque is located in Mirzapur about six kilometer far away from Atwari subdistrict on the Atwari-Panchagarh road of Panchagar district. An inscription wrote in Persian language on the eastern wall of the Masjid provide its reconstruction and reparation by one Shaikh Malik-Uddin in 1252 BS (1831 AD). But nobody don’t know its actual construction date. Recently Department of Archaeology, Bangladesh taking care of this Masjid. There are two ancient graves to the south side of the mosque and north-east side stands an old well. The mosque has three domes, an open courtyard (17meter / 14meter) surrounded by wall. Access gate room of the courtyard (4.12m / 2.12m with 0.60m thick wall) is situated its east middle side. The gate room covered by sloping four-ways roof. The mosque is rectangular externally length is 13m width is 5.40m with 3 entry doors on the east and 3 mihrabs on the west wall inside. The middle door and the middle mihrab are bigger than the others, which are of same size and height. There is 2 window in the center of the south and north walls. On the roof there are four towers four corners of the masjid. The walls outside are now whitewashed and the terracotta plaques are painted red creating a very colorful exterior. There are actually two Badar Mokam mosques are in Cox's Bazar. One of them is situated on the southern bank of the Bakkhali River under Cox's Bazar Pourashava. It is located just beside the Cox's Bazar post office. 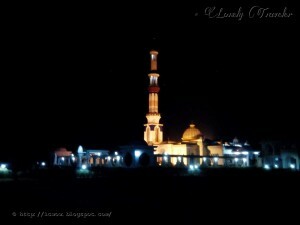 A beautiful mosque stands, which is known as Badar Mokam mosque. 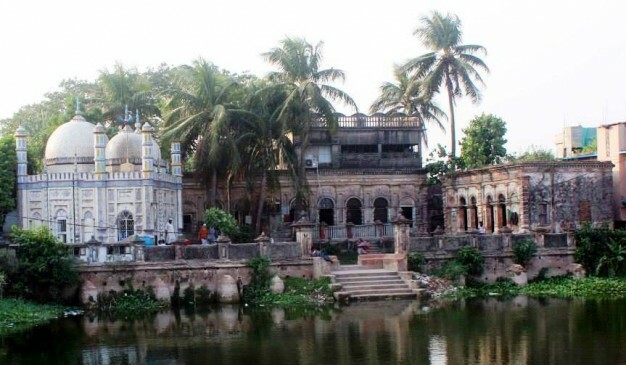 Besides, the southern-most apex of Teknaf Thana, Bangladesh is also widely known by that name. 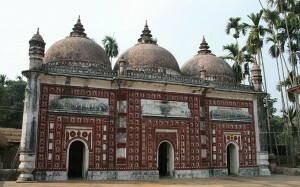 Once there was a mosque but the Badar Mokam mosque of Cox’s Bazar is the oldest one in the district.